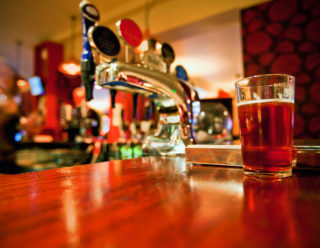 Landlords and licensees have spoken out against the unauthorised screening of live sport, claiming that it goes against the behaviour they would expect from their fellow publicans. In a poll of current Sky customers carried out by research company Ipsos MORI, publicans showed their support for action taken by The Premier League, the Federation Against Copyright Theft (FACT) and Sky in clamping down on unauthorised venues. The majority of landlords and licensees who took part in the research are clear on the rules around unauthorised screening; 86% said they understand the law (“very well” or “fairly well”). They feel so strongly about the issue that, in a warning to other publicans, a majority (55%) said that they are likely to report a pub in their area if they were screening live sport without a commercial subscription, while 1 in 4 (24%) said they have done so already. 82% of publicans believe unauthorised screening of live sport impacts other pubs, and when quizzed about the kind of action that should be taken, 89% of respondents said that a fine is an appropriate penalty. 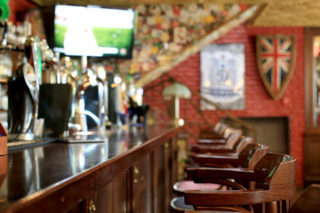 During the 2014/15 football season, the Federation Against Copyright Theft (FACT) secured 47 convictions, with total fines and costs accumulating to well over £200,000.The survey results also show that over half of those surveyed believe that publicans who are found guilty should be named and shamed in the local media and pub trade press; with 48% also stating that a loss of license would be appropriate. Alison Dolan, Deputy Managing Director at Sky Business, commented: “There is a clear understanding among publicans around the legalities of screening live sport, and we are committed to protecting the investment our customers make by continuing to pursue action against unauthorised venues as well as investigating suppliers. Each week, Sky receives reports of unauthorised activity from concerned publicans, which lead to investigations and legal action. Most recently, a Durham man received a suspended prison sentence for illegally selling Sky systems to pubs and clubs, following a tip-off from a licensee.